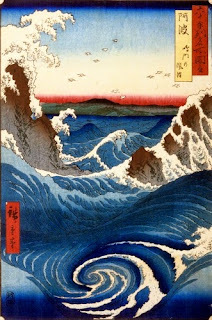 Inspiring Art Teachers to Explore Art History | Curator’s Corner: How Old Is This? Lately, I can’t seem to get away from seeing “abstraction” in all sorts of places. I came across this wonderful Japanese bowl from the mid-1700s to mid-1800s and was sort of wowed by it. If we remember the basic definition of abstraction as “reduction of a subject to the simplest forms,” then this bowl qualifies. Interestingly, the Japanese, although their ceramic tradition is probably among the oldest on the planet, did not develop their own porcelain until after 1592, when the military dictator Hideyoshi (died 1598) conducted a failed invasion of Korea. 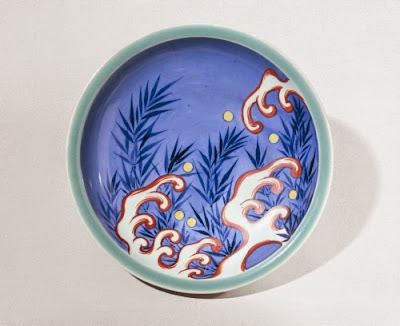 Since Korea was the conduit to Japan for many artistic genres from China, Hideyoshi brought back Korean ceramic artists who had trained in porcelain production in China. 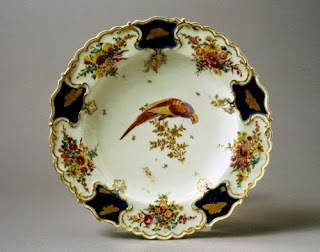 Thus porcelain was “born” in Japan and rapidly flowered during the early 1600s. No more importation of Chinese porcelain for the Japanese court! Ho hum, right? No analyzing this as an example of abstraction. Let’s zoom ahead to the period when abstraction actually poked its head into art in the West during the Art Nouveau style. It flourished between the 1890s and roughly the first 20 years of the 1900s. 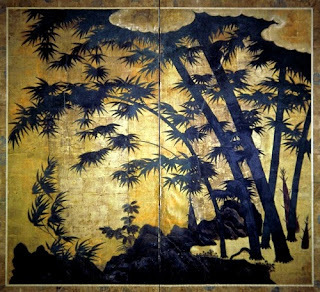 The reason I mention Art Nouveau is because one of the influences on Western Art Nouveau was the linearity and simplification of natural forms in….Japanese art. I’m not quite sure which forms in nature this plate represents. 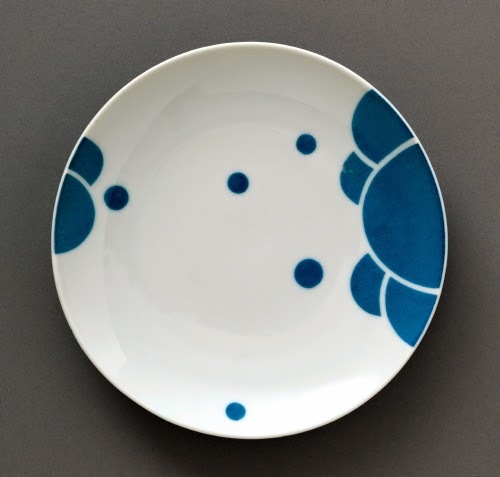 I suspect that the forms on the right side should be displayed on the bottom, as the cups and bowls from this pattern are oriented thus. That way it looks like a totally abstracted wave pattern. Jutta Sika was an interesting woman. She was trained in the graphic design field. In 1901 she was one of the founding members of Wiener Kunste im Hause (Viennese Art at Home), a foundation that was a precursor of the Wiener Werkstätte in Vienna, which was the Austrian equivalent of the Bauhaus. She was a strong believer of integrating all the disciplines in the arts whenever possible. She also worked as a fashion designer.